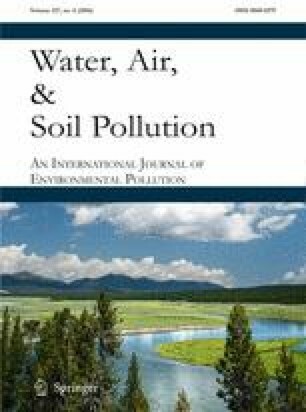 Can a Low-Dose Selenium (Se) Additive Reduce Environmental Risks of Mercury (Hg) and Arsenic (As) in Old Gold Mine Tailings? Selenium (Se) has long been known as an effective antagonist for counteracting mercury (Hg) and arsenic (As) toxicity in many animal and plant species. This study is the first to assess a low-dose Se additive as an in situ remediation tool for As- and Hg-contaminated gold mine tailing material. Mine tailing material from an 1860s gold mine stamp mill site was treated with different concentrations of sodium selenite (0, 0.5, 1, 3, 8, and 15 mg Se/kg). Reclamation grass seeds planted in each treatment showed significantly decreased plant toxicity with increasing [Se], as measured by increases in biomass, % emergence, and root lengths. Leachate was collected from each pot after the grass was harvested. The lowest Hg and As concentrations measured in the leachate were associated with the 1 mg Se/kg treatment (94 and 71 % lower than concentrations in leachate from untreated tailing material) and increased with lower and higher Se treatments. Finally, earthworms (Eisenia andrei) were introduced to the experimental treatments. Earthworm [Hg] decreased with increasing [Se], but this effect was confounded by differing [Hg] in the tailing material. Earthworm [As] decreased with [Se] up to 3 mg Se/kg, then earthworm [As] increased with tailing [Se]. This experiment confirms that low-dose selenium additions (up to 3 mg Se/kg tailing material) can have beneficial effects by limiting toxicity and mobility of As and Hg from the tailing material for both grass and earthworms. The online version of this article (doi: 10.1007/s11270-016-2909-9) contains supplementary material, which is available to authorized users. This project was supported by a Natural Sciences and Engineering Research Council of Canada (NSERC) Engage Grant (EGP 477580–14), an NSERC Discovery Grant (RGPIN/311786 2012–2017) and a SMUworks Summer Student stipend funding to Dr. Linda Campbell. The authors thank David Parkinson and Chris Elliot with Amec Foster Wheeler, Environment and Infrastructure for help and support as well as Dr. Michael Parsons, Natural Resources Canada, for field support and information.